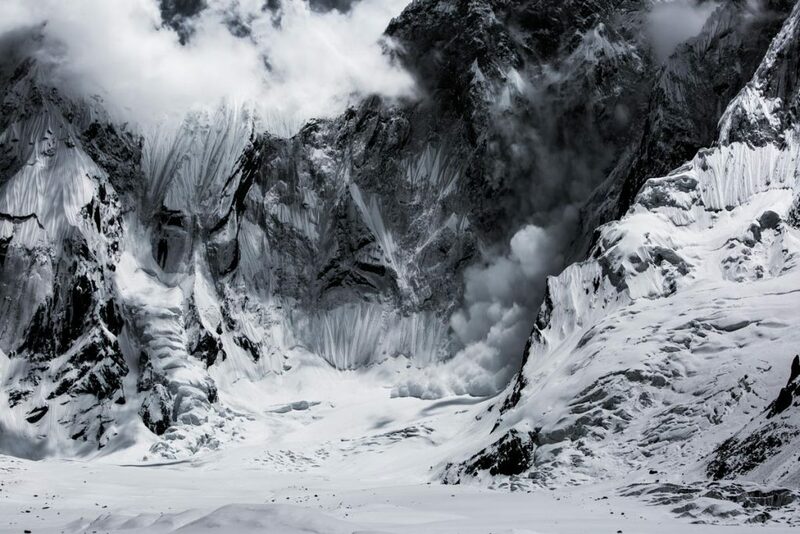 An avalanche thunders down the face of. Watching these avalanches in real time, they seem to move sedately down the mountain. This belies their destructive power, in fact they are traveling hundreds of kilometers an hour and will clear anything in their path.